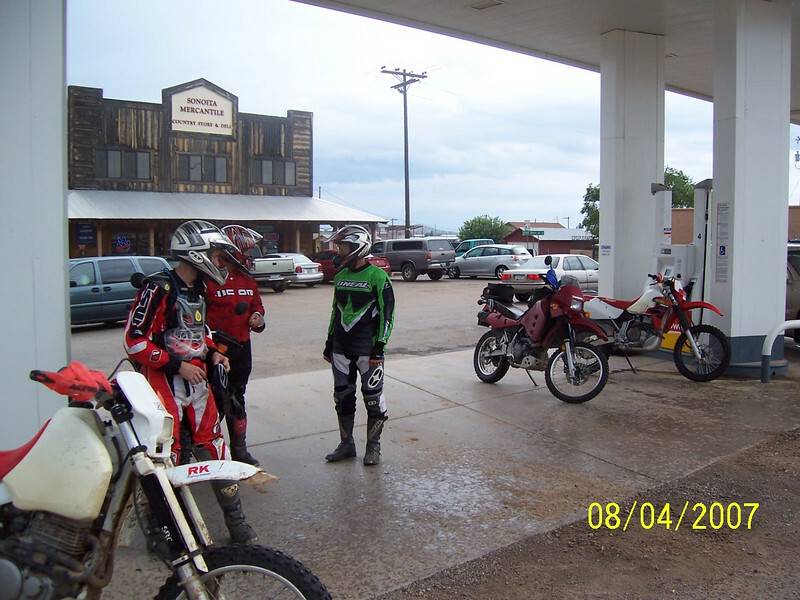 The other guys gassed up in Sonoita. I had plenty of gas left in my Exxon Valdez tank. We were able to get out of the rain at the gas station. I used the windshield towels to wipe my face shield.